Gas Fireplace Service in Richmond, VA! Gas fireplaces are becoming more and more popular every year. And for the obvious reasons. Chopping or buying wood, hauling it indoors and waiting to get it going can be very annoying. Gas fireplaces have a direct fuel line which means all you have to do is flip a switch to enjoy it's benefits. Combine that with the fact that they burn clean and can even be enjoyed if the power goes out and you have heating solution that is very enjoyable. Gas fireplaces are relatively low maintenance but that doesn't mean problems can't arise. At Big Daddy's Plumbing we can perform all the necessary services on your gas fireplace should you experience a problem. One phone call and we can spring into action and make sure that important source of heat is back up and running in no time. 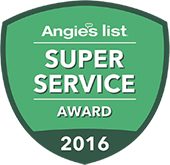 Whether it's an inspection, cleaning, or routine maintenance we've got you covered.